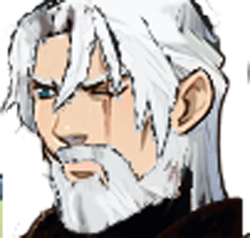 One thing I can say about a number of small projects I've been doing is that they've been slowly improving my skills with Photoshop. Case-in-point, I wasn't happy with how I had initially designed Destroyer's face, and considering he's the Title Character I wanted to revisit the image and make it something I felt more comfortable with. After a bit of re-working I finally felt pretty pleased with how he looks. It's a reminder of how little details can make or break a project. I've heard many writers speak about their process for building a novel. Some lay out post-it-notes along a wall covering the character and chapter progression, expecting that will prevent them from missing details. Others operate with less structure, for instance Stephen King has said for the Dark Tower series he didn't maintain even a notebook, instead believing that the really good ideas stay in his head. I suppose I'm a middle ground between the two, in that I don't actively keep a detailed outline, but I do have a rough version of one in my head, and some scenes I can see very clearly. I also do keep a notebook, the same one I've been keeping notes in for the last 17 years. At this point I've almost reached that critical year 18 of this project, which means it will be, in all, as old as I was when I started it. At this point, assuming I do finish the prequels, this will have become my life's work. that's a very odd thought, but is an all but unavoidable conclusion at this point. While I could see myself releasing unrelated works, I can't imagine myself attempting anything on such a grand scale. I may have said this before but looking back, if I had it all to do over again, I wouldn't. I'm not certain I would admit there are nobler pursuits, but certainly there are simpler ones. Quite suddenly the largest audience for this blog originates from Israel. I'm not quite sure how that happened, though it should force one to consider themselves humbled by the reach of the internet. Whether by chance or choice it aids people in reaching out and touching the thoughts of another. The written word may still be the most powerful force mankind has to offer. While I don't always like to share the numerous things I have on the back burner at any given moment, because I don't know which of them might not make it to fruition, so far I've been having good success with this particular project and I'm hoping it will eventually see completion and release. Yes, you read that correctly. It says "New Game." 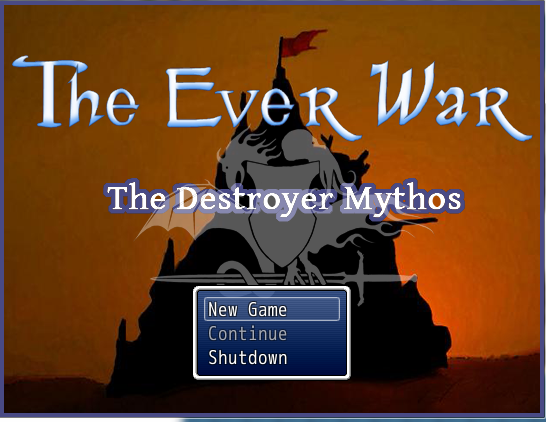 I've been working on an Ever War RPG game that would, if complete, reveal the actual events surrounding Destroyer and the rise of the 7th Realm. While this isn't a full on announcement I will, hopefully, be able to post updates as scripting continues. 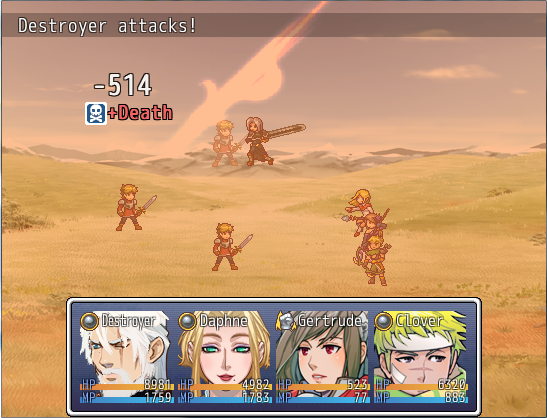 As you can see here I've combined a number of script mods to have an active battler system, which results in watching your characters leap across the screen when performing attacks, and opponents doing the same when they strike back. 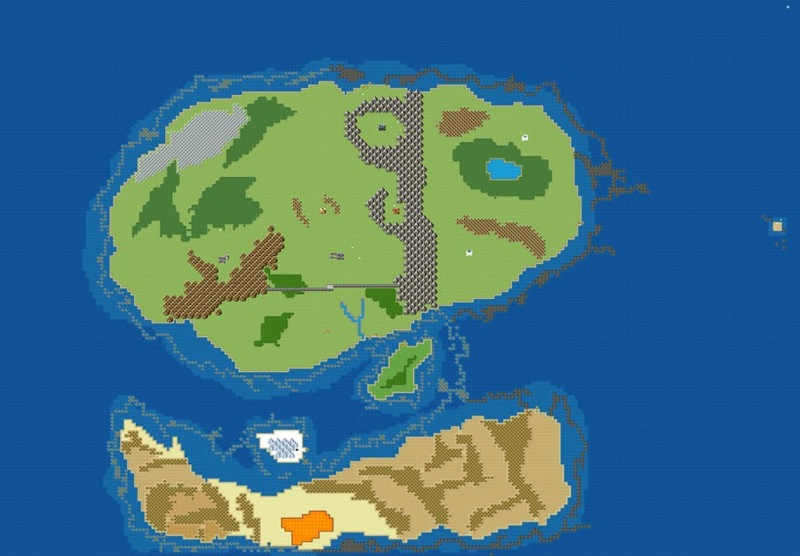 It's been a long process getting things mostly where I want them in battle alone, just as a foundation, but with that in place real building can commence. For anyone reading, The Ever War series is finally listed on Goodreads. If you have an account I'd appreciate if you took the time to drop by and rate it (or on Amazon or B & N or iTunes if you have the time and energy). I haven't been able to have their system pull up the books by their name yet for whatever reason, but they pull up when you enter DW Hawthorne or enter the ISBN. Thank you if you take the time to rate and review.